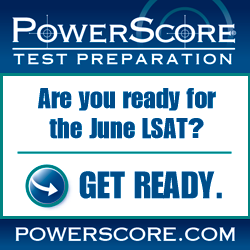 With roughly two months until the June 2014 LSAT, most of you will soon enter test-taking mode. You will probably take anywhere from 10 to 20 timed practice tests during that time, and – if done correctly – such a regimen will help improve your score. Not every score will be higher than the one before. The important thing is to learn from your mistakes, improve your stamina, and take it easy. To measure the brain power lost when someone is interrupted, they designed a two-part experiment in which they subjected innocent people to a standard cognitive skill test not unlike the LSAT. For the first part, subjects were divided into two groups: Control and Interrupted (sound familiar?). The control group happily completed the test without interruptions, and, predictably, outperformed the Interrupted group. The latter were interrupted twice by a text message, and performed 20 percent worse. The correlation is stunning and does suggest a causal link between interruptions and loss of brain power. Let’s face it: you will be interrupted during your test. Even if the conditions at your test center are absolutely perfect (they won’t be), that 5-minute warning at the end of each section counts as an interruption. Does it make you freeze and/or lose your train of thought? It probably does. Personally, I think that warning does more harm than good, but it’s here to stay. Thankfully, everyone is in the same boat as you are, so everyone “loses” a little bit of brain power as a result of it. You won’t be so lucky with the dude sneezing next to you, or the proctor hovering above your desk like a Predator drone: these are distractions unique to your test center, and stand to negatively affect your performance on the test. What can you do? Thankfully, the researchers at Carnegie Mellon have that answer too. Remember how their experiment consisted of two parts? Well, for the second part they divided the subjects who were initially interrupted into two sub-groups. Both sub-groups were warned of being interrupted again, but only one of them was actually interrupted. The results were stunning. Again, the interrupted group underperformed the initial control, but the gap was smaller (14 percent instead of 20 percent), suggesting that over time people can get used to interruptions and learn to improve how they deal with it. Interestingly, those who were warned of being interrupted but were left alone improved by 43 percent, and even outperformed the control test takers who were left alone in the first part of the experiment. What does that mean for you? It reaffirms what we’ve been telling you all along: do not take your practice tests under optimal testing conditions! Do them at the library, a quiet coffee shop, or any place not entirely devoid of distractions. If you become accustomed to such interruptions, and do get distracted on your actual test, your performance will not suffer as much. And it gets better: if you anticipate distractions but get lucky with your test center, you would outperform even those who were never distracted, but never trained for distractions either. Photo: “Are You Trying to Study?” courtesy of Whitney.